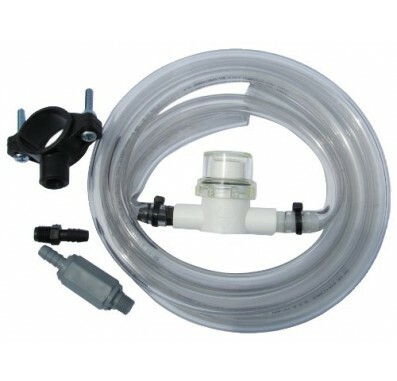 The 265071 kit for the American Hydro Systems siphoning feeder system contains all the parts on the outside of the tank. There's no need to replace the whole unit when a simple kit and some basic maintenance will get your system up and running in no time. Keep a spare parts kit on the shelf and you'll be ready for anything.